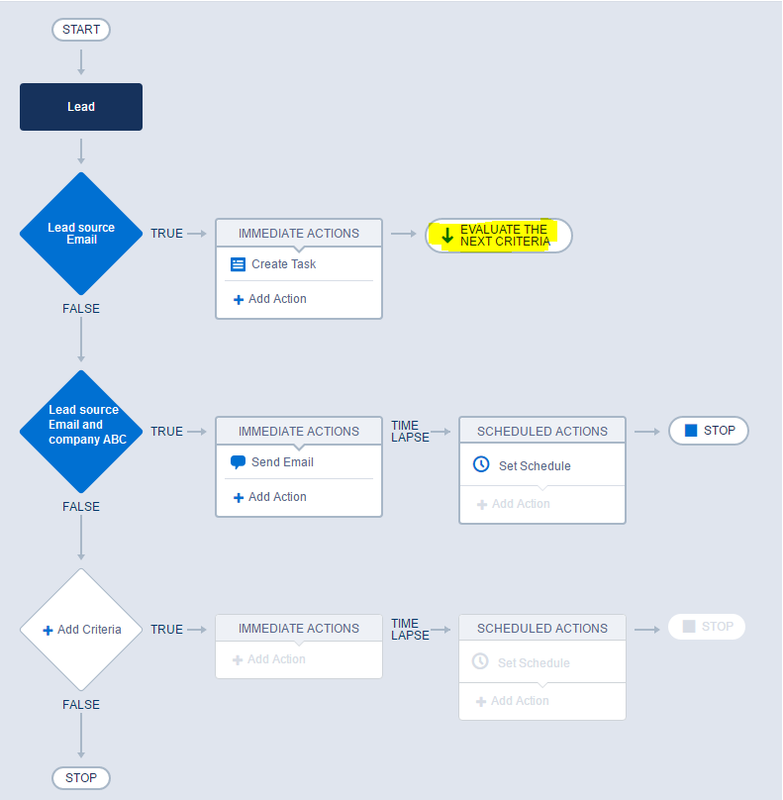 I was in situation to add multiple decision in process builder and thought to have a look in Summer 16 pre- release Org. I don’t have any words to express my happiness :). Checkout below image, now, we can have multiple decisions in same process builder and no need to create multiple processes for same object. 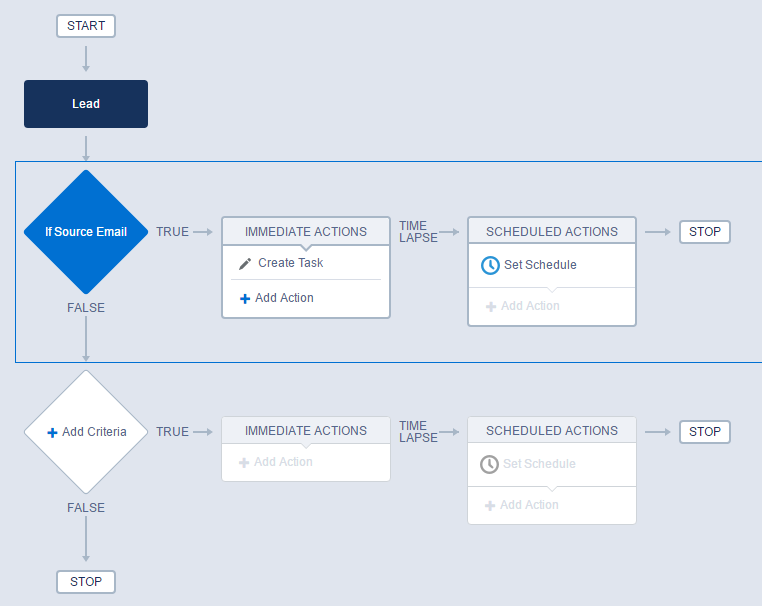 I am sure my client can wait one more month to deploy a change after I get this feature of process builder. Thanks for writing this. Just a question here, Is this feature not available before Summer 16? My DE org is at Spring 16 and I can add multiple criteria there also. I guess this feature was always available with process builder. Correct me if my understanding is wrong. I think so, In the diagram which you shared if first criteria is satisfied there is no option to move to 2nd criteria(because that falls in FALSE condition). In Jitender’s diagram there is “Evaluate the next criteria” which will call the 2 nd process after execution of 1St one(even though it falls in FALSE condition). That’s correct @Merul , Previously process builder could only have true and false condition. We could not have other descision just followed by eithet True or false. create a task when lead source is Email and send an email to owner if lead source is web. It seems first condition would be false then it will come to second. As lead source either will be Email or Web. So request you to change in given statement which explains the core logic so @disqus_02PqunXuKe:disqus and guy like me won’t confuse.